The selloff of MU stock is more logical than it appears. But Micron stock is already pricing in the bear case. 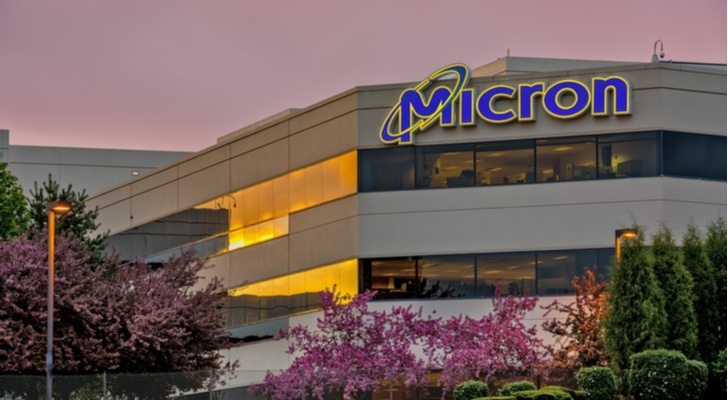 There’s one key question when it comes to Micron Technology (NASDAQ:MU). Is this time different? Micron stock has plunged from $60+ to $35 in a matter of months. It’s a move that looks like past cyclical moves of MU stock. After all, this is a stock that, starting in late 2012, went from $5+ to $35 to under $10 in barely three years. It’s not difficult to see echoes of that run in the trading of MU stock since then. It has moved from under $10 as recently as May 2016 to over $60. The same memory cycle seems to be behind those movements of Micron stock. But I do think this time is different. The current bear case on MU stock needs to be understood, as I wrote last month. An investor absolutely cannot say that Micron stock is “cheap” just because it’s trading at around three times earnings (as ridiculous as that multiple sounds). That said, even if we appreciate the bear case and the risks, and take into account Micron’s cyclical nature, MU stock is too cheap at current levels. And once the endless selloff of the chip space ends, I expect Micron stock to stabilize and eventually move higher. Why Is MU Stock So Cheap? How can Micron stock be so cheap? The answer is simple: investors expect the company’s profits to decline, and they believe that the decline could be sharp. As Will Healy pointed out, MU stock historically has traded as a proxy for memory prices. Since investors believe that prices could be negatively impacted by both demand and supply concerns, MU is feeling the heat. And memory prices have a significant impact on Micron’s earnings. Recently, higher prices have been a tailwind and a huge one. Bear in mind that MU earned $11.95 per share (on a non-GAAP basis) in fiscal 2018. Its adjusted EPS two years earlier was just six cents. If Micron’s EPS goes from near $12 to $8 to $4 to $2 and/or it eventually turns negative, as it did for much of FY16, MU stock isn’t currently nearly as cheap as its seemingly absurd earnings multiple would suggest. Essentially, the big risk to Micron stock is that its FY18 results, in particular, were a one-off spike. At that time, the industry, including rivals like Samsung and SK Hynix, held the line on capacity. Huge investments in data centers created an enormous amount of demand and steadily rising prices. But as that demand fades, as appears to be happening, and supply rises, which is occurring, that scenario falls apart. And every dollar of lost pricing comes off Micron’s pre-tax profit at close to 100%, just as those pricing gains contributed to earnings over the last two years. How Far Can Earnings Drop? Trading at a little over three times earnings, Micron stock clearly is pricing in a decline of profits going forward. Analysts’ consensus estimates indicate that the Street expects that pressure to materialize. Consensus EPS estimates imply a 12% decline of adjusted EPS in fiscal 2019 and another 7%+ drop the following year. But there’s also an enormous amount of variability in analysts’ projections. The lowest estimate for FY19 is $7.30 – representing a nearly 40% decline – and for FY20 one analyst predicts that MU’s EPS will be just $4.48. Of course, those same analysts – as a group – believe that MU stock is dramatically undervalued. The average price target has come down as the year has gone along, but it currently stands at $67, suggesting something like 90% upside. Analysts’ estimates are way off. It’s likely that some analysts have some catching up to do, and that consensus estimates will come down. The decline of Micron’s earnings will last for several years. Even assuming Micron’s EPS does drop to $4 or $5 in FY20, the price-earnings multiple of eight would be pricing in more profit declines in FY21 and beyond. MU stock can be too cheap, even as its earnings are declining. That’s what the Street is saying. From a broad standpoint, I think the Street is right. Bear in mind that in FY18, Micron’s non-GAAP operating margins were 50%. Obviously, higher prices enormously boosted its margins; they were “only” a bit over 30% the year before. Still, Micron’s earnings could drop a great deal without making MU stock expensive. Observers at the moment are citing potential price cuts of 15%-20%. Let’s assume that memory prices fall 20% and units drop 10%. A rough model (which admittedly excludes variable costs, but that only makes it more conservative) suggests its margins would be cut in half, causing its operating income to plunge 60%-65%. In that scenario, MU would still be earning over $4 per share, suggesting that MU stock is currently trading at a single-digit multiple to those earnings. And that’s in a rather negative scenario. Prices could drop further, but unit shipments should continue to rise. There are some near-term demand concerns due to worries about inventory levels. But over time, more memory will be needed, not less. There’s simply no way around that fact in the modern world. So even if prices fall, MU still should have solid margins and generate plenty of profits. At a certain point, Micron’s valuation gets simply ridiculous and not just because a price-earnings ratio under three is “too low.” After closely examining Micron’s outlook, we can see that $35 per share is pricing in pretty much all of the bear case. In the meantime, Micron is aggressively buying back shares at these levels. It has also acquired Intel’s (NASDAQ:INTC) stake in a joint venture, which should help boost Micron’s revenue and profits going forward. Memory prices will probably drop. But unlike in FY16, when Micron stock last plunged, its earnings aren’t going to zero. Amazon.com (NASDAQ:AMZN) and Microsoft (NASDAQ:MSFT) and Alphabet (NASDAQ:GOOGL,GOOG) aren’t going to stop building data centers. The world is not ending; MU stock is not going back under $10. At some point soon, the market will remember that fact. And then Micron stock will finally bottom. Article printed from InvestorPlace Media, https://investorplace.com/2018/10/bottom-coming-micron-stock/.